An interactive sculpture with a sonic character. 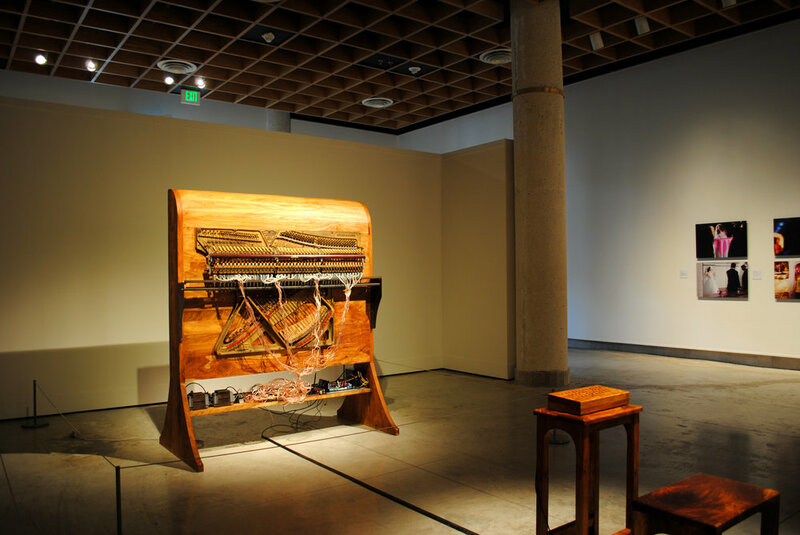 The Meta-Piano Extendido re-imagines the piano and what it means to play it. The structure is intervened physically and sonically, dismantling the formal and traditional foundations inherited by the western musical system. This piece has an open source philosophy. All digital documents are available for download. It makes use of accessible micro-controllers, custom circuits, electro-mechanical components and the programming of a control system, which permits performance and transmission over the internet. There are 3 possibilities of interaction: physical interface, interpretation of text, and algorithmically. Using Pure Data (a graphical programming environment), we can give the Meta-Piano our rules for composition, which it will execute accordingly, producing unique improvised performances in style determined by the composer. 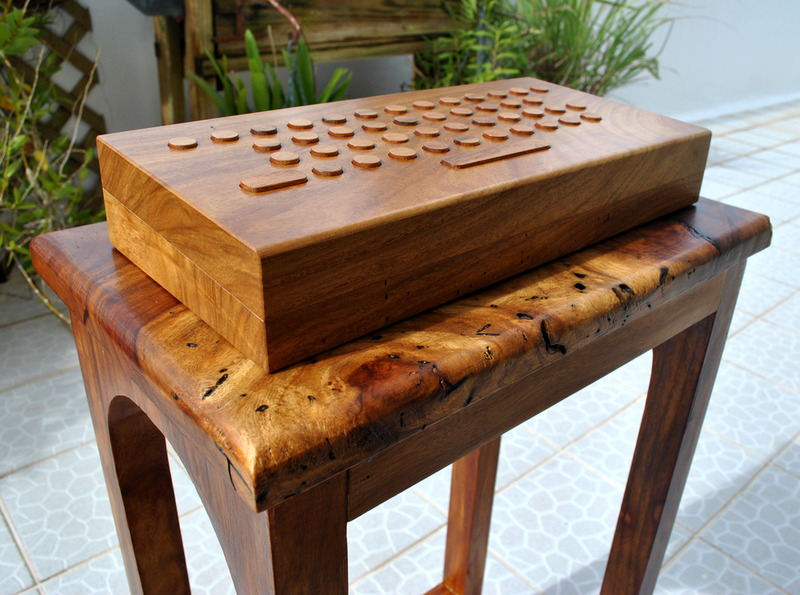 The Meta-Piano Extendido was commissioned by the Lexus Grant for Emerging Artists in Puerto Rico in 2012. The solenoids required custom drivers for power distribution and isolation from high-voltage. The solenoids were designed for pulling action, but in this setting the solenoids must push, so modification was required. Here we see the cylinder added to the tip of the solenoid. Since the solenoids came without springs, I had to make them by hand. The physical interface was designed to resemble the computer keyboard to give us some sense of familiarity, even though the resulting sounds will be unfamiliar, inviting exploration. The interface was fabricated in collaboration with Carlos Silva from the Digital Fabrication Lab at the Universidad del Turabo. The piano body is physically reconstructed using a Puerto Rican Pterocarpus rescued from a construction site and processed locally.